No Single Supplement on a Wide Range of Hotel Barge Cruises, eliciting significant savings when booked by February 19th 2018. If you’ve ever wanted to travel solo, meeting people as you go, making new friends and timeless memories, there really is no time like the present! Which is why we’ve made these savings available across the board, in France, Italy and Holland, on select departures. If fine wine and French countryside float your boat then why not try Anjodi, L’Art de Vivre, L’Impressionniste, Renaissance or La Belle Epoque for a taste of La Vie en Rose. If fabulous flowers and elegant antique markets are your thing then give Panache a go as she cruises through Dutch cities and past iconic windmills. If you’re enchanted at the thought of Venice then La Bella Vita is the place to be, just sit aboard the sundeck and sip your prosecco as you cruise leisurely down the Po Delta. 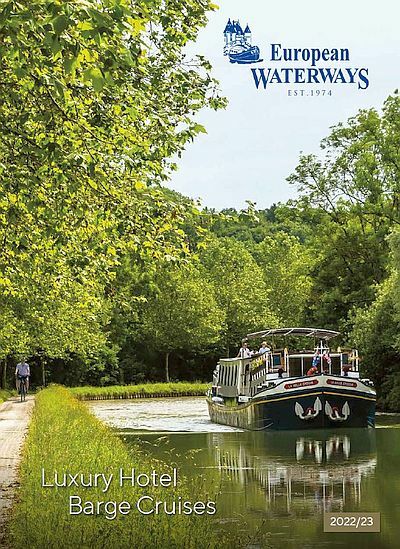 A European Waterways cruise is very much a social event, and as such the onboard activities and daily excursions are specifically designed to include every guest. Wine tasting excursions, visits to local markets, castle tours, and gentle walks through charming towns spark stimulating discussions about history, culture and gastronomic traditions. At the evening meals, everyone sits around the same table “digesting” the events of the day. Conversations are lively and memorable, and often continue long into the night. Many cruises end with guests exchanging contact information and becoming lifelong friends. For specific dates and offers, you’ll find all you need to know, here. Watch the video below for a sneak peek into what a European Waterways cruise is all about.